You did it! You’ve earned the rank of Executive! 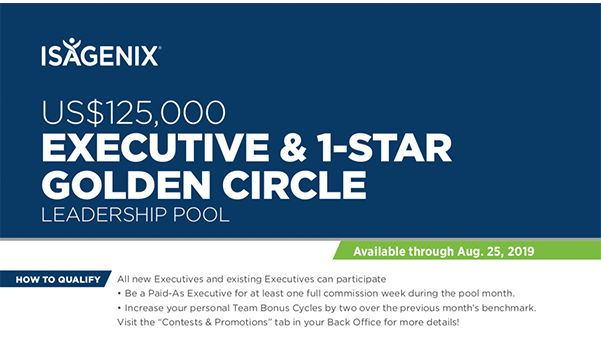 As an Executive, you can start to earn Executive Match! Don’t forget, there’s still plenty more you can accomplish with your Isagenix business – so keep up the great work! Keep building your business! As you continue to grow your team, your cycles will consistently increase as well. 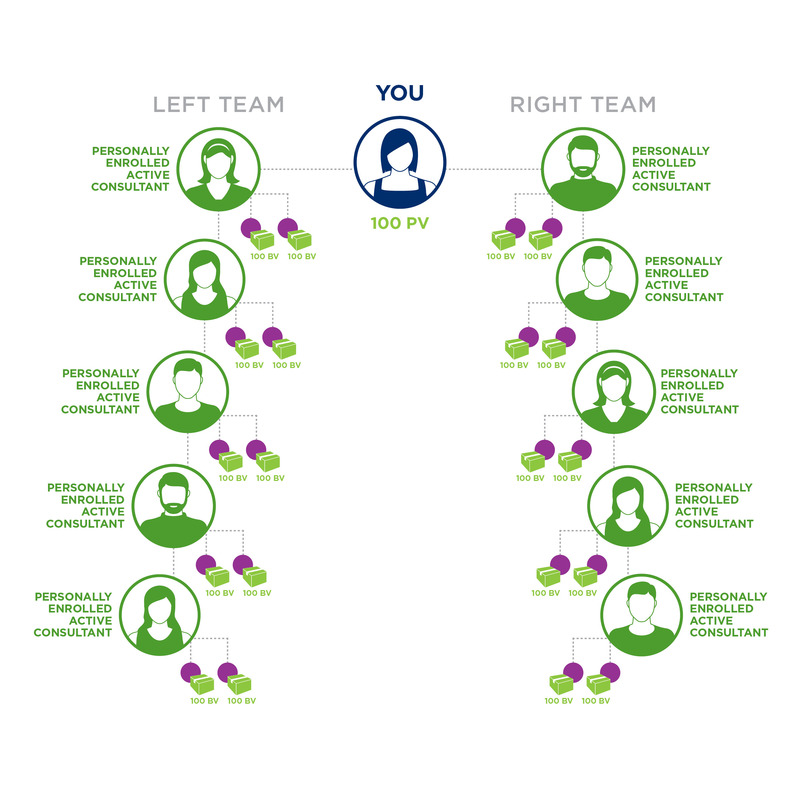 Aim for building some Managers, Directors, and Executives within your team! 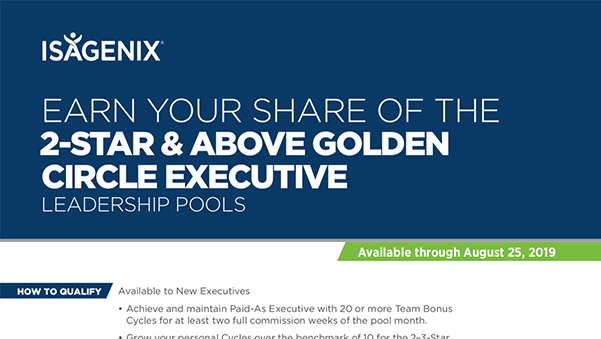 Learn how to earn through the Executive & 1-Star Golden Circle Leadership Pool! Join us in our next Step Up to 2-Star call! Don’t forget to check out the rest of the media and tools available to support your success as an Isagenix Executive! *Information provided for reference purposes only. Isagenix Independent Associates earn compensation based on sales volume are not required to enroll or develop any number of Consultants to be eligible to participate in the Isagenix Team Compensation Plan. 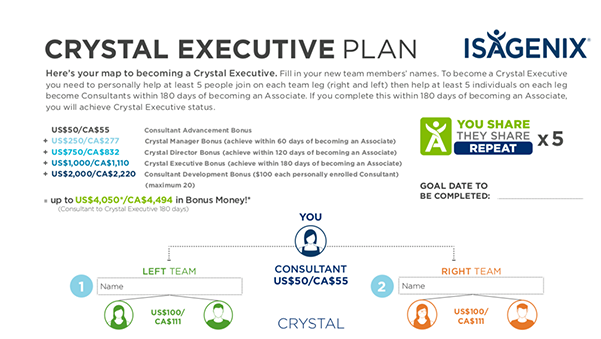 Based on lifetime statistics for all Isagenix Independent Associates across all markets whose highest recognition rank achieved is Executive. Calculated by comparing the total number of enrolled customers that achieved a recognition rank of Consultant or above compared to the total number of enrolled customers over the lifetime of each account. Customers that did not create an account or did not purchase membership with Isagenix are not included in this calculation. Requirements to achieve Executive recognition status may vary by country. Information accurate as of February 4, 2019.